Following up on my last real blog (ie - not including the Amish yak fisherman pic or fishing tidbits), we were headed to Wyoming. My sister and her family had a different 1st flight, but were supposed to be on the same flight as us from Denver to Gilette. Unfortunatley, they got derailed in Cleveland and didn’t make it to Gilette Wednesday night. They would get in the next morning and head home. Mary May and I were headed for something a little different. We were met at the airport by her Aunt Betty and Uncle Martin who own a house about an hour west of Gilette in Buffalo and a cabin about 10 miles from town on the middle fork of Clear Creek. Martin’s family has been in that region for generations – Basque immigrants who raised and herded sheep in the rough terrain. They were eager to show us around and share their immense knowledge of the area. The first day we got to check out the Bighorn Mountains, which made a lasting impression on Mary May and I. They were gorgeous and filled with all types of terrain, vegetation, and rock formations. The creeks that snaked down canyons and through the foothills were a fly fishers dream. After all, I am more of a wilderness area kind of guy than a "Miracle Mile" type. Over the next couple of days we would get fishing licenses, take some scenery shots, hike, and just generally absorb it all. We also got an amazing tour of the gorgeous property owned by The Falxa Land Company provided by local outfitter Daylen Carrell who leases the property. He was an amazing guide and host. If you are looking for a big time hunting trip to Wyoming, check him out at D&D Outfitters. We saw plenty of deer while we were with him and got to see a bunch of elk as darkness fell. The next day, we were headed to the creek, but not before stopping for a casting lesson at a meadow pond first. Mary May had never been flying fishing before, but it was certainly in her blood as her grandfather was an avid fly flinger. She was an extremely quick learner and picked up on the nuances of casting a fly rod almost immediately. Like any beginning fly fisher, she went through some growing pains, but she battled through them and kept her chin up. By the afternoon, she was really getting the hang of it. It didn't take long before she caught her first ever fish on the fly.....and I was one proud boyfriend! During the morning I also caught my first ever Wyoming trout, a pretty cuttbow - among many others. We mainly fished with dry flies, but I caught a few on nymphs and streamers as well. I also learned that 6x and 7x tippet was not necessary and upgraded to 5x and 4x after losing a couple solid fish. We caught a BUNCH of fish that day ranging from 6"-13" and it had us exicted to do more fishing later in the week. The following day we went to Crazy Woman Canyon - a long canyon filled with gorgeous rock formations and a beautiful creek. So beautiful in fact, that we decided we wanted to come back the next day with our fly rods. We did a bit of hiking, creek hopping, and photo taking for the rest of the afternoon. That evening we went to the Occidental Hotel in Buffalo - a historic hotel and saloon filled with stories of the old west. Mary May (via Johanna) treated us to an amazing meal. I had escargo for the first time ever. That was one tasty mollusk! As the next day rolled around, we wanted to treat Betty and Martin to dinner. So we headed to the stream with the intent of keeping a few for dinner. Things started off a little rocky. The pools in Crazy Woman Creek definitely get some fishing pressure and we couldn't seem to hook up with better size fish. Mary May, Betty, and I were casting like crazy and getting quite a few strikes from smaller fish. Finally, we got to a large pool where Mary May had a few bites. I had seen a good trout moving in and out of the shallows feeding. I had on a small Adams fly and was waiting for him to show himself. After a few minutes I saw him move into an eddy. As I cast he started to move again. Before I could adjust, my line hit the water right above him - sending him quickly back to the depths. Determined, I waited another 15 minutes or so before he showed himself again. He had snuck up into the shallows on the far bank looking for terrestrials. It took me 7 or 8 casts before I got the fly exactly where I wanted it due to the whipping wind and current seams. Before the cast even hit the water I knew that was it - even exclaiming it to Mary May. Within seconds the fish had slurped my fly. I set the hook and....SNAP. My 6x leader was not up to the task. I was mad at myself and the leader, but hey, at least it was lunch time. So we ate a quick lunch sitting on a big goose egg of keeper fish. Now, technically we could have kept the smaller trout, but I just don't like to fillet anything under 10 inches. We pressed on to a lower section of canyon. I was helping Betty get set-up to fish when I see Mary May emerge from the streamside brush with a fish...and a solid fish at that. Like a pro, she drifted her fly (nicknamed the bumble bee for its color pattern) in front of a downed tree and it got snagged by a solid cuttbow. Into the cooler it went! Not long after, the two of us crept into a long hole below a riffle. The spot was extremely cramped with vegetation, making even role casting difficult. I began to set-up when I heard Mary May let out a yell. She had accidentally sat on a bush with small thorns. I gave my fly a quick cast to the top of the hole, let some line out, and went down to help her. I picked a few thorns out when I suddenly I felt the line go tight. My immediate reaction was that I was snagged, but then I felt a head shake....I had a fish! Not only did I have a fish, but it was a good size fish for that flow. After a nice little fight we landed him - another cuttbow (although he looked a lot more like a cutthroat) and into the cooler he went. I landed a couple more fish in the canyon, as did Betty. But it was Mary May who got us on the board with the next keeper. I directed her to a fine looking hole. It was very tought access and fish, but she managed to get her fly floating through the pool on a nice drift line. After a number of casts she had a nice strike and fought another nice trout to the bank. It was our third keeper and things were looking up! At that point everyone was getting tired so we headed back to the cabin. We asked Betty to drop us off at the meadow pond on the way to try for a couple more dinner fish. After all, we were plenty hungry! Casting at the pond was tough. The wind was whipping and the fish seemed to be further from the bank then before - requiring casts out to 65-75 ft. This was no small feat for me, an experienced caster, let along a beginner. I landed a solid keeper on a black wooly bugger then a small fish on the same pattern. Mary May had a nice strike on her dry fly, but couldn't hook up. We were about to give up when I cast her dry over toward a grass mat. I popped the fly, then popped it again...nothing. But as I began to drag it I saw a wake come out of nowhere and the fly got sucked under. A healthy trout nailed it and proceeded to run across the pond, slash through weeds, and acrobatically before coming to hand. He was the last fish to be put on the stringer. We took a couple of photos and then hiked back to the cabin to fillet the fish and start dinner. We feasted on trout cooked in garlic butter, mashed potatoes from scratch, and fresh veggies. After a bottle of wine and another of port, we drifted into dreamland. As usual, I was dreaming of our next adventure...and giant trout. After having a great first few days in Wyoming, we didn't think it could have been topped. But for us, our last day in the Bighorns trumped them all. That is where I will pick up tomorrow! Tight lines! Rough Wyoming terrain but I can see that you did enjoy the fishing part =) sure looks fun! 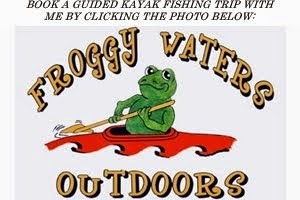 I really enjoyed this post, You must have fishing of wonderful memories gathered around this place.